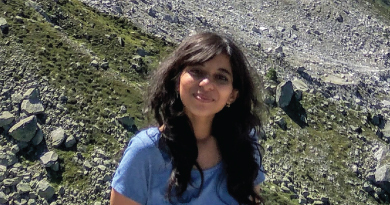 About the Author: Dinika Saxena from Shaheed Rajguru College of Applied Sciences for Women, University of Delhi, shares how she successfully managed to get an internship at CERN – world’s largest and most revered physics laboratory. Burning at a scorching 103°F, etiolated from my body’s aversion to any kind of food that I was feeding it, trying hard to tame my running nose, I sat on my office chair on one of those Sundays. The weather was one of a kind outside – a delicious sun co-existing with a romantic breeze. Geographically, I was sitting very close to the border of Switzerland and France – countries where inhabitants are accustomed to hiking, running or doing anything that helps their spirit dance along with nature, especially during the weekends. And yet, I shied away from joining a friendly group of fellow interns who had decided to explore the city of Annecy to quench their wanderlust. Instead, I tucked myself in the confines of an empty building not just because I was sick or the fact that I am an introvert, but because I was guilty of self-doubt. My mind was consumed with one blaring question – how did somebody like me end up getting an internship at the world’s largest and most revered physics laboratory (which also happens to be the birthplace of the internet) – CERN (Conseil Européen pour la Recherche Nucléaire – European Organization for Nuclear Research). After finding myself amidst some of the most glorious minds and ogling at the mammoth experiment sites, I felt completely out of place. My mind was more inclined on believing that the selection committee had a terrible mix up while (accidentally) selecting me, rather than trusting my credentials and believing that I truly deserved to be there. I was always asking myself – how did I get here? Maybe it was what happened 7 years ago – when a scientist from CERN, who was also an alumnus of my school, came to talk about her experience as a nuclear physicist at the lab that was about to make a ground breaking discovery which would change how the mystic universe and matter was seen back then. Despite not being very strong in physics, her words kindled an excitement in my tender heart. CERN sounded fascinating! A dainty little voice in me had the audacity to think that maybe, I had a chance. After all, I did spend nights and missed lectures to work on a side project on data visualization using Java, just for the kicks. I remembered building a humble version of a private cloud in my sophomore year. Also, I worked as an intern for about 2 years on a low income for a Scrooge-like-boss. I studied about some of the concepts and theories outside my curriculum. It was just two days before the deadline that I decided to muster up the courage to answer those hauntingly introspective questions on the application form, the answers to which, I swear to God, I am too embarrassed to read even to myself, to this day. I had no qualifications to embellish my answers with trendy tech words (such as neural networks, machine learning, etc.) that could have recruiters drooling over one’s resume. I unabashedly wrote simple and honest answers, not caring much about how the selection committee would react to them. I wasn’t expecting a selection but I had to try because I owed it to my deep reverence for CERN. In the interest of being clear (and more helpful), I’d like to point out that there were no IT quiz questions being hurled at the applicants. The questions were more along the lines of, “Tell us about the project where you’ve used technology X (i.e. if you say you have).” With that, I completed filling in the application form and also finished the step that I dreaded the most – submitting the recommendation letters. By now, you must have had a good idea of how that story turned out for me. On April 11, 2016, I promised myself to write a journal daily. My entry for that day says that I will work hard until someday I become a part of a large organization such as CERN or Google (or the likes of them). On April 12, 2016, I received an acceptance email from CERN. I was selected to work on a project on Visualisation of Cloud Resources at CERN. Needless to mention, I was beyond happy. So, did the selection committee really made a mistake or was I indeed a deserving candidate? Who’s to say? You know, the mind can be a funny thing. Mine, for example, is a perpetual dwelling place for a turbulent tornado of self-doubts. But surprisingly, it is also capable of clearing the fog of doubts and putting on an armor that exudes charming confidence, like it did when I stood on stage at CERN to give a presentation on the project that I had worked on for 2 months. I won the second prize (let’s not focus on the position, shall we?). As to how my internship experience was – it included such fine food, fancy cars, incessant dancing, extraordinary people, lively parties, amazing and generous supervisors, diverse work place, breath-taking views, and free visits to Zurich and Lausanne and several other trips to places like Paris and Chamonix. I loved every moment of it. I loved it so much that I am going there again – this time for a year, to work on another project and hopefully, tell another story. The selection committee could not be wrong two times in a row, right? Or could they be? Are you also motivated by Dinika’s journey? Don’t hold back; follow your passion today. Check out these cool International internships. I think, This post is a Very Important.